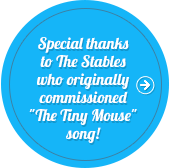 Download three free MP3 versions of "The Tiny Mouse!" Just right click on one of the icons below and choose "Save to desktop" (or something similar, different browsers use different wording). Use the MP3s to create your own video and post it to YouTube! 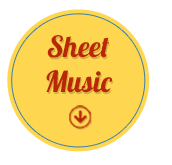 Download a free copy of the sheet music transcription to "The Tiny Mouse" by Janis Ian. One version has the full song and the other is abridged. 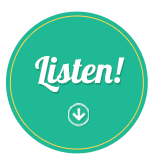 Click on either icon to download! 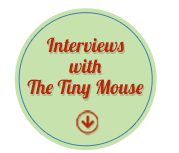 I had been trying to set up an interview with The Tiny Mouse for several months, but he was always too busy – feeding his numerous children, practising the oboe, working at his "day job" of repairing clocks and watches. When he finally made time for me, the first book about his adventures at sea was almost finished! We met in a tiny cafe a few miles from his home. I had to sit outside, on the pavement, because the chairs were much too small for someone as tall as me. (I am 4' 10", or 147 centimeters.) As usual, Mr. Mouse was nattily dressed, sporting a very beautiful moustache and carrying a wooden cane with a pewter handle in the shape of a large hunk of Swiss cheese. We began almost immediately. Only eleventy-thirteen at home. The rest are in college. Well, yes. In Nashville, we'd been living in a beautiful old wooden bread box, with a little window that overlooked a garden. It was safe and snug in the winter, and nice and cool in the summer. When we moved to Amsterdam, we didn't have any friends or family there to stay with, so those first few weeks we lived in hiding, anywhere we could find. Oh, it was... but it also gave me a taste for adventure, you know. By the time we settled in, I'd already lived on several houseboats, in the tympani case at the Staadschouwburg, and behind Van Gogh's Potato Eaters at the Rijksmuseum. My parents always made sure we were exposed to culture when we travelled. Oh, no. Actually, I discovered them. I was passing by their offices, quite by accident, because I'd lost a shoe. Well, it stand to reason that a lost shoe would try to find a picture book to live in, doesn't it? Picture books are just full of shoes! It was terrible! Just awful... but once they realized I was only intending to eat the pages they no longer needed, they calmed down and we had a lovely talk. I told them all about how I longed to go to sea... Well, actually, I exaggerated a bit and said I'd already been to sea. Oh, yes. I'd always entertained my little brothers and sisters with stories. It's not easy, when there are dozens and dozens of them, all asking for their very own story! But I credit my parents with nurturing my creativity, and exposing me to great art. Jesse invited me to stay and tell my story to Dieter and Ingrid Schubert, who were coming to dinner that night. So I ran downstairs and told my family where I'd be, grabbed a change of clothes or two, and ran right back up the stairs to their office. Of course, my mother and father had to come and approve of my new living circumstances, and then later to sign the contract for our book. Almost. Almost completely accurate. Except that I am much better-looking than Dieter and Ingrid made me. But of course, I understand. They didn't want to take away from the actual story, or focus people's attention on my looks. A bit. I've been doing interviews, and I'm going back to America soon to visit with all the librarians. It's very exciting, but it's also a lot of work, packing and unpacking all the time, keeping my toothbrushes clean, making sure my moustache is properly trimmed. It's awfully hard to find a good barber in a strange city. (Blushing.) Well, I don't know. My family would like me to stay home, but I want to visit Hollywood. We have relatives living at the La Brea Tar Pits, I'm sure they'd put us up for a week or two. I come from a distinguished family, you know! My grandfather always said we could trace our line right back to the Jurassic Era. I think the children would enjoy it, too – there are an awful lot of coconut trees, and of course tremendous museums. Not to mention the ocean. Flying is difficult for us, the seats are always too big and the food is never really what you expect... but we could take a cruise, if the book does well, that is. After your last adventure, I'm surprised you'd even consider going to sea! Ah, well, so long as it wasn't the same boat, I think we'd be all right. How many Calico Captains can there be, after all!!! The Tiny Mouse has lovely manners, and it was a pleasure to speak with him one hot summer's day. I had a lot of questions from children around the world, and he was patient and kind as he answered every single one. Oh, awfully scared. But as my wise grandma always said, "Laugh in the face of danger, then quickly run away!" So I jumped overboard. You're always so well dressed – where do you get your clothes? Don't you mean the "Thrift Store"? Mrs. Mouse, of course. I don't let anyone else touch it! I haven't met your wife. Well, she's pretty busy with the children, you know. And of course, she takes care of my fan club. Wow, what a success you've become! Are you very rich now?